The general flow of the day involved us attending the Court of Final Appeal as a spectator and visiting his chambers subsequently. Prior to the experience, I had two opportunities as a mini-pupil, this was a different experience in a sense that this was a high profile case. I enjoyed this experience because it gave me another perspective to the law field. However, I would also like to make a few comments regarding the experience without being unappreciative. As prospective law students, the case would seem rather tricky and confusing, as it would require very specific knowledge that we could only obtain by studying law (hence criminal cases seem more suitable). The case also involved many bundles hence we were unsure how much or what we had to study so that we could understand the process better. Furthermore, I do feel that only having one day with the barrister would discount the experience. It would perhaps be better if we were given more guidance throughout the process. We only got to talk to the barrister for a short period of time after trial. I would like to thank Mr Lam and the Careers Team for the opportunity. The experience was pretty special and I do think that this experience was beneficial to me as a prospective law student. At around 10 am in the morning, we gathered together at the public gallery of the Court of Final Appeal, No.8 Jackson Road in Central. A case regarding slander and malicious falsehood was courted there, with Mr. Kenneth Lam as the barrister of the defendant (Chan Pui Kwan, AKA Chan Pui Chun). Allen and I sat aside in the court and listened to the arguments given by barristers from both sides. At around 1 pm, we had a quick lunch at central and discussed about the details of the case, during which Mr. Lam gave us some comments on the case which we had not thought about. 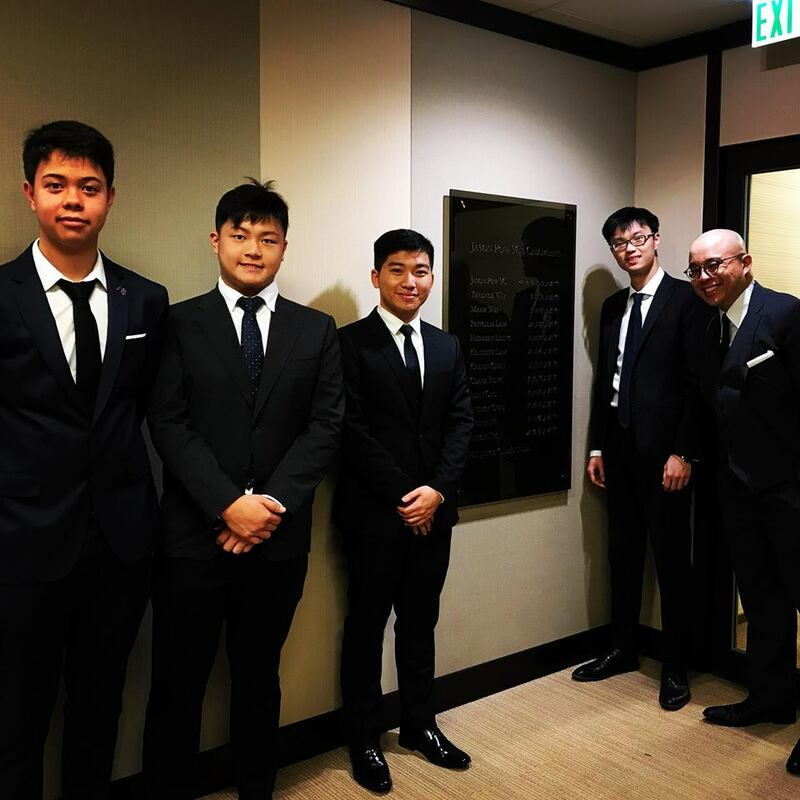 After we had our lunch finished as well as the debate ended, we visited Mr. Lam's chambers at One Pacific Place, and ended the fruitful day in triumph. This job shadowing experience does fulfil its purpose by allowing me to look more in-depth into the legal career that I am interested in. More than that, it shows me the process of evolving into a good lawyer. For examples, during our lunch, Mr. Lam shared his insight of analysing a judge stance and background through his or her raised questions. Furthermore, this experience enlightens me the actual difficulties a barrister usually encounters, for instance, reading loads of references yet couldn’t find any clues for a case and paying high rent for office ($60K per month as he mentioned) during the times of economic depression. This reminds me that a coin has both sides. Last but not least, through our conversation, I could acquire insights on how to prepare myself to face new challenges in this valuable summer period, in an unbeatable spirit and attitude. The job shadowing is of no doubt beneficial to students and, in my opinion, should be continuously organised for the sake of students’ improvements. At the last resort, I hereby express my greatest gratitude to teachers involved in organising such a delightful event.